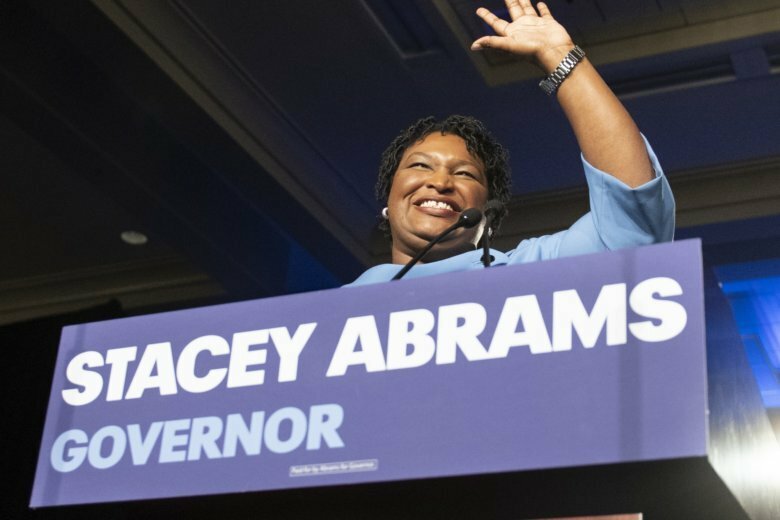 THE FACTS: U.S. District Judge Leslie Abrams, sister of Georgia Democratic gubernatorial hopeful Stacey Abrams, did not preside over a complaint related to the too-close-to-call governor’s race, as reports circulating online suggest. The Georgia Democratic Party’s lawsuit against Dougherty County was filed in the Middle District of Georgia’s federal court, where Leslie Abrams was confirmed to the bench in 2014. Most federal courts assign cases to judges randomly, including the Middle District of Georgia. Judge Abrams was randomly assigned to the case Nov.8, but it was reassigned to U.S. District Judge W. Louis Sands on the same day, and before any action was taken on the case, court records show. The shift was in keeping with the court’s procedure when there is a conflict of interest, according to David W. Bunt, the clerk of court for the Middle District of Georgia. THE FACTS: A photo of a blanket of gray clouds over a glowing red background was not taken over the recent California wildfires, despite reports identifying it that way on social media. The photo was actually taken in July by Nathan Province over Honolulu, and shows altocumulus clouds during a sunset. Province told The Associated Press that the photo was taken about 7 p.m. from an altitude of around 30,000 feet while he was on a flight to Hawaii. Province said he took the photo with his cellphone about 30 minutes before landing and later posted it to social media. “I think it’s nice that people like the scenery and the beauty of Hawaii, but it is sad that people are using it continually for fake news,” Province said in a text message. THE FACTS: Planned Parenthood did not release a video advertisement featuring a baby with text saying she deserves to be a choice, despite numerous reports being shared online. Social media users are creating false captions and recirculating the video, released by The Agenda Project Action Fund in 2015, to make it appear as the work of Planned Parenthood. Erica Sackin, Planned Parenthood Federation of America spokeswoman, said the organization did not produce the video, nor is it associated with it in any way. In the ad, a baby in a stocking cap coos and smiles between sentences stating: “She deserves to be loved. She deserves to be wanted. She deserves to be a choice. #StandWithPP.” The video was created by a branch of The Advanced Project, a progressive activist organization, and uploaded to its YouTube channel. Erica Payne, founder of the organization, told the AP that she put out the video after she had a baby at the age of 45. Payne said it was her way of expressing how children are miracles. “They deserve to be loved, wanted and a choice,” she said. THE FACTS: A Time magazine cover circulating online that claims an entire generation has been poisoned by toxic vaccines was fabricated. The false cover has a headline stating “The Poisoning Of An Entire Generation,” along with text that says, “Toxic vaccines. Sick kids. And the incompetent leaders who betrayed them.” The false cover was taken from Time’s Feb. 1, 2016, issue which featured a story on the water crisis in Flint, Michigan, with the headline, “The Poisoning Of An American City.” Both covers use the same photo of a young child, but the original does not include a syringe with needle in the photo. The subtitles on the real cover say, “Toxic water. Sick Kids. And the incompetent leaders who betrayed Flint.” A Time spokesperson confirmed to the AP that the cover was not the work of the magazine, and provided a link on how to identify false Time covers.